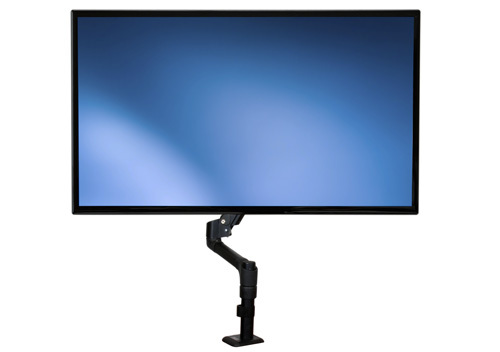 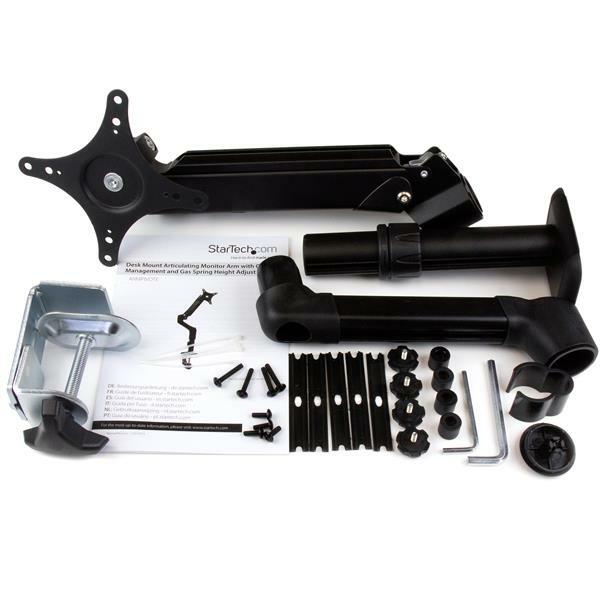 Supporting 12 - 24" displays up to a maximum weight capacity of 8 lb. 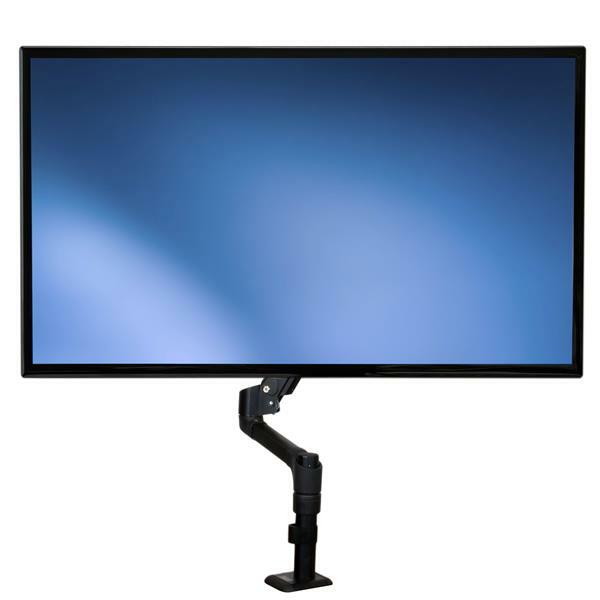 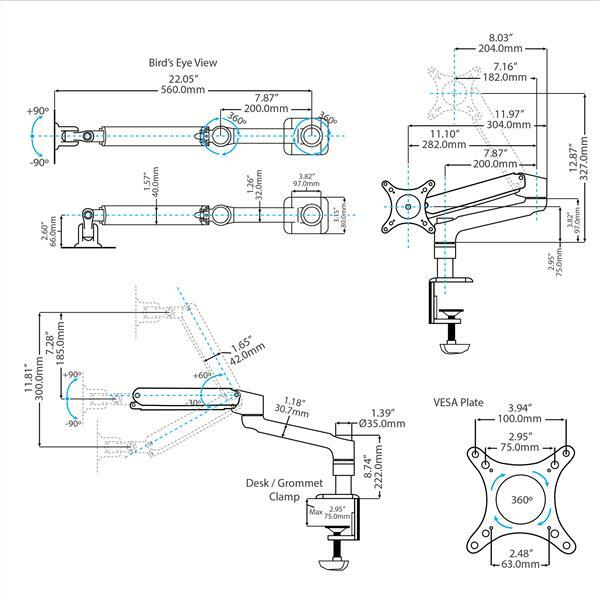 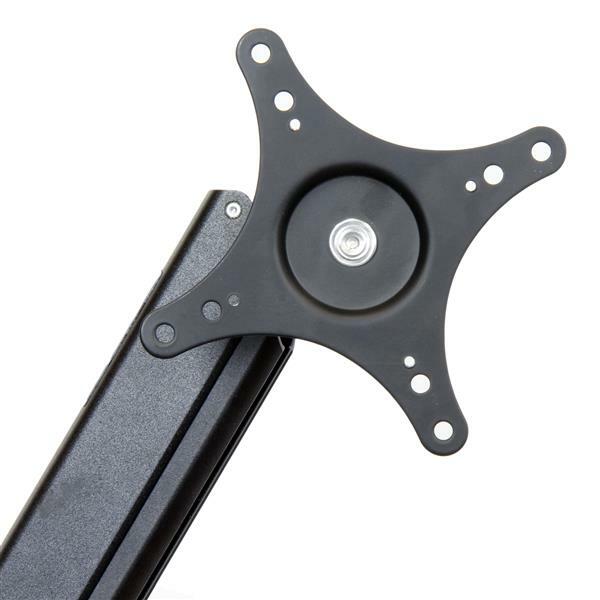 (3.6 kg), the monitor mounting arm holds your display with ease, and integrates a cable management channel to keep things neat. 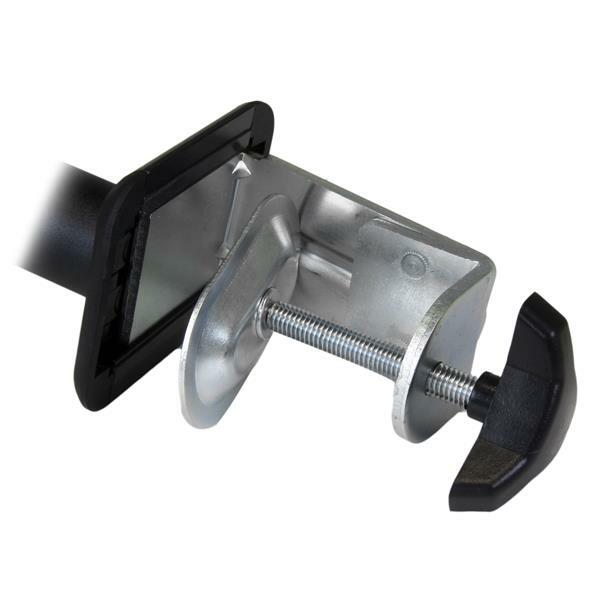 For added installation flexibility, the included mounting hardware can either clamp to the side of your desk / table or mount through a grommet hole, for a versatile monitor mounting solution.